The above photo is protected under the copyright of Logan Meller. 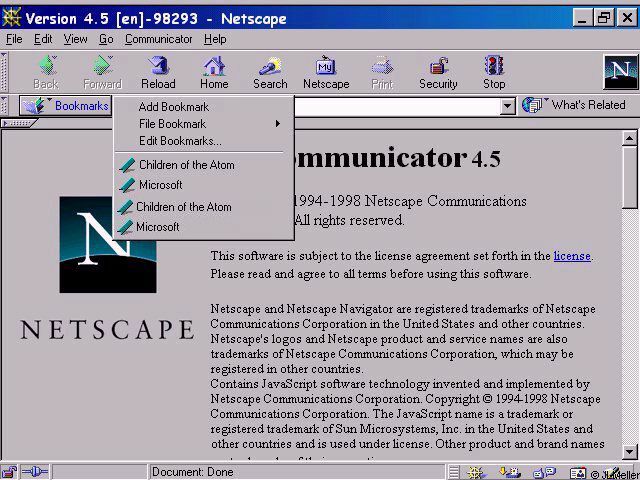 Netscape is Copyright � 1994-2007, Netscape Communications. ScreenShots.ModemHelp.Net is the original creation of Logan Meller and Bradford Liedel. No part of this website may be reproduced or copied without documented consent of Bradford Liedel. No screenshot on this website may be reproduced or copied without documented consent of Logan Meller. Please report any bugs or errors to us here.